Intra-Cylane + bamboo. Known for its resilience, this apparently fill gaps in the cuticle and enhances hair fiber integrity. Scroll on to read my experience with the products. First off the shampoo - has a lovely soft fragrance that I absolutely love. The shampoo has a soft lather and washes off very easily without leaving any residue. It does a good job of cleaning my hair without leaving it feeling stripped or dry. It is a gentle shampoo, so if you like a good deep conditioning oil treatment before you wash your hair, then you might need a little extra shampoo to get your hair squeaky clean. Or just wash twice. For me, this is a good everyday shampoo. Step 2 is, of course, the conditioner. Like the shampoo, this too has a mild fragrance. It's thick and creamy, like any regular conditioner, but there the similarity ends - at least when compared to most conditioners I have tried so far. 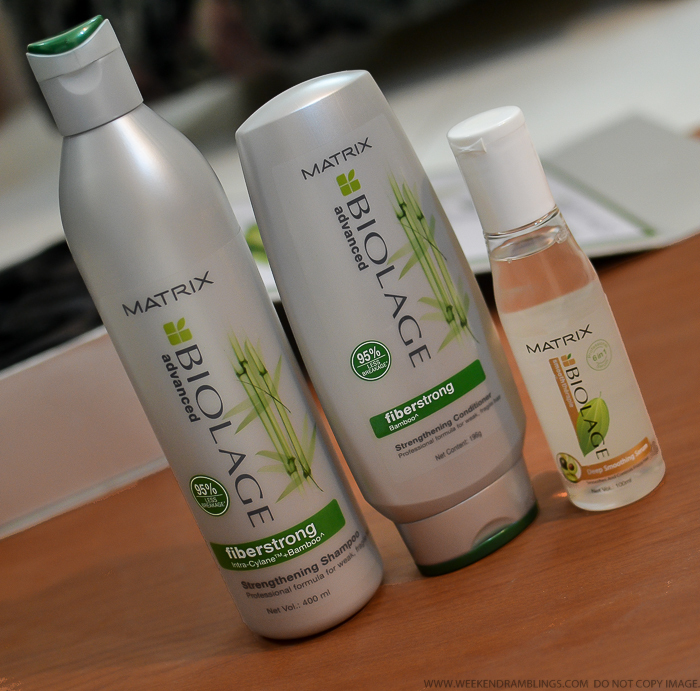 I use a very small amount for my barely shoulder-length hair and work most of the product through the ends of my hair. Keep it on for about 1-2 minutes and wash off. Right away, my hair feels amazingly soft and smooth. Of course it has a silicone in the ingredient list - amodimethicone - but unlike other cone-containing conditioners, this doesn't takes ages to wash off and neither does it leave my hair feeling weighed down/greasy or make my scalp itchy. A definite winner for me! I also got to try out the Deep Smoothing Serum - a clear runny serum that looks almost like oil. I use a tiny bit and work it into damp hair, again, keeping most of the product towards the ends of my hair rather than near the roots. I can't honestly say I have seen much of a difference with this product, probably because the conditioner itself leaves my hair quite soft and I have only recently started using this serum, but it does leave my hair shiny and healthy looking. 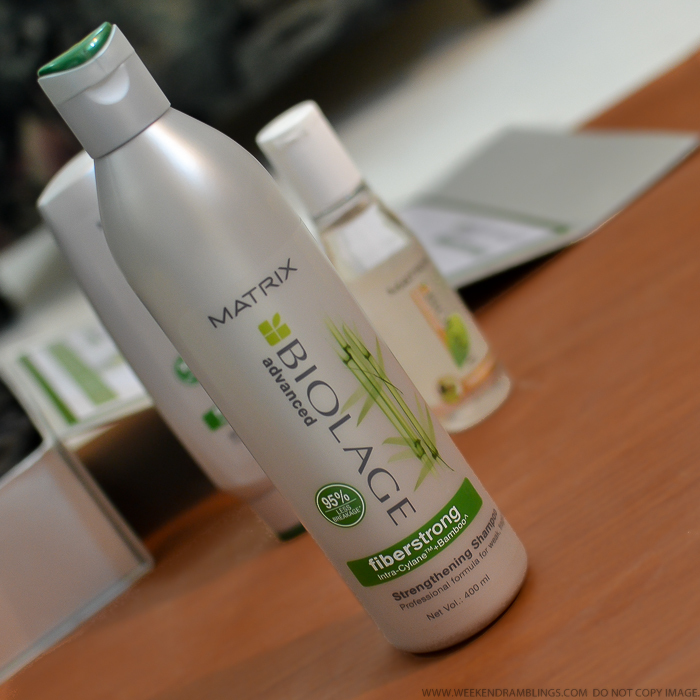 Overall, I was quite pleasantly surprised when I tried out the Matrix Biolage Advanced Fiberstrong haircare range. 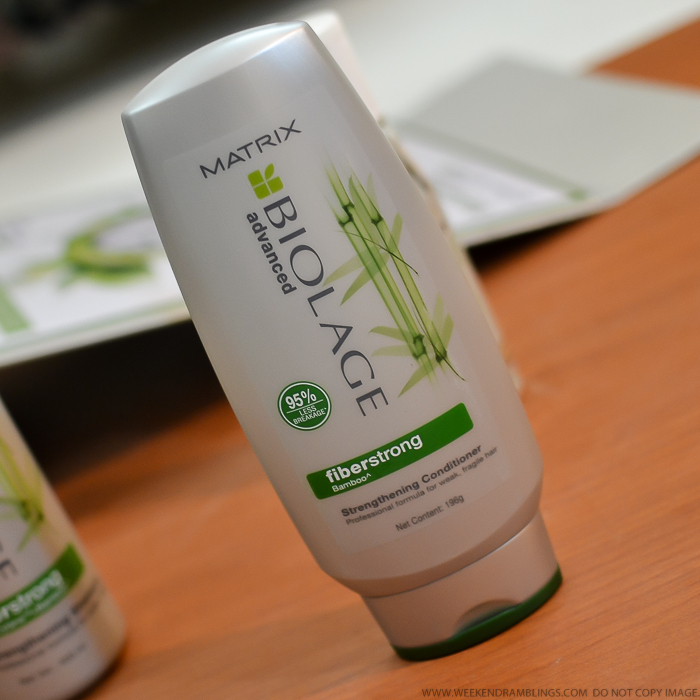 The only reason I had tried these products was because one of my friends LOVES the Biolage haircare range, and I was just a tiny bit curious. The shampoo-conditioner (and even the serum) routine has been great at keeping my hair look a lot more "tamed" and frizz-free and also adds a lovely healthy shine. Because my hair is a lot smoother, it's also a lot less tangled, and that itself reduces a lot of the breakage and hairfall. Plus, I love the soft fragrance that lingers on in my hair. 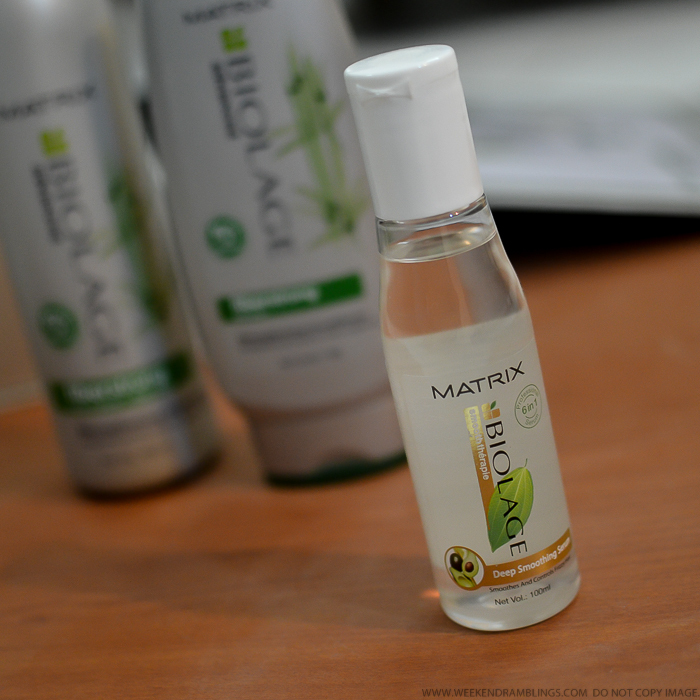 For more details, check the Matrix India website. PRODUCTS FEATURED IN THIS POST WERE PROVIDED FOR REVIEW.